As you age, your skin loses elasticity. Combined with lifestyle choices, stress, and sleeping habits, this can eventually lead to a puffy, baggy appearance around your eyes. In addition to making you look old before your time, droopy eyelids can impact vision, making it both an aesthetic and functional issue. Eyelid surgery, also known as blepharoplasty, can restore a youthful, bright appearance to your eyes and restore vision diminished by droopy eyelids. The plastic surgeons at Star Plastic Surgery understand how these issues can impact your self-esteem and lower your self-confidence. 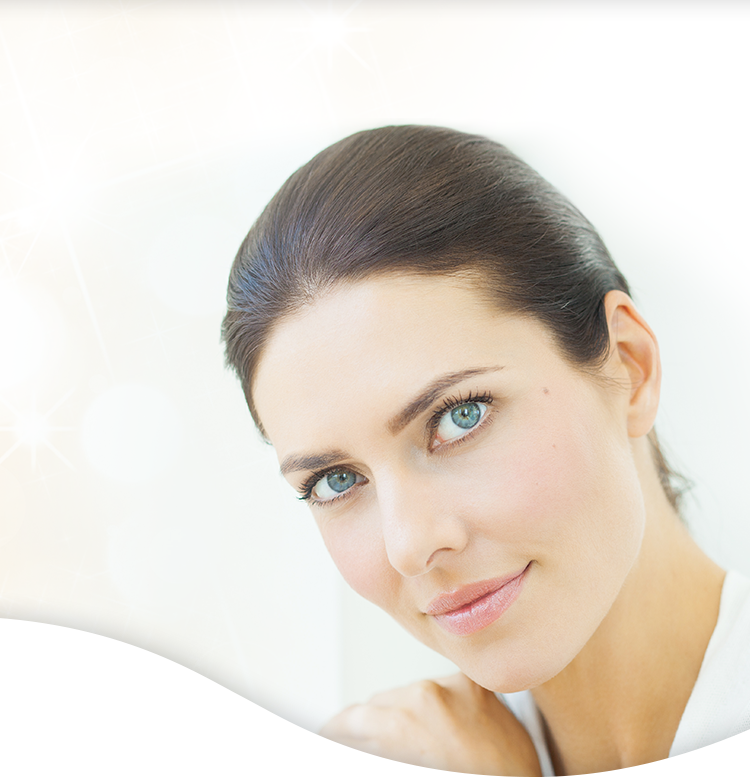 Using only proven surgical techniques, our eyelid surgeons can help you look and feel your absolute best. Eyelid surgery can restore contour and beauty to your face, accentuating your eyes and drawing attention to your natural beauty. Eyelid surgery can also be combined with other facial rejuvenation procedures to help restore a fully youthful and appealing look to your entire face. Blepharoplasty can be performed on the upper eyelids, lower eyelids, or both. During the procedure, the surgeon will first create markings where excess tissues will be removed from the eyelids. When treating the upper eyelids, an incision will be created within the natural eyelid fold. When treating the lower eyelids, an incision will be created just below the lower lash line, or inside the lower eyelid. Excess tissues will be removed through these incisions, and fat may be redistributed to achieve the desired look. Patients will experience swelling and bruising around their eyes for a week after surgery. Ice packs can be applied to reduce swelling. Pain is usually minimal, with acetaminophen being substantial for treating discomfort. Any stitches will be removed after three or four days. Most patients can resume normal activities after 10 days. Eyelid surgery is relatively simple and has very few potential complications. The Star Plastic Surgery Advantage of board certified plastic surgeons, proven techniques, and devotion to patient safety and satisfaction ensures your comfort before, during, and after your eyelid surgery. If you are interested in learning more about the benefits of eyelid surgery, contact us to schedule your free blepharoplasty consultation today. Blepharoplasty, or eyelid surgery, is a procedure in which excess fat and skin are removed from around your eyes to restore luster and beauty to your facial features. By removing the excess fat and skin, blepharoplasty can improve vision, reduce the appearance of fine lines and wrinkles, eliminate bags and black circles, and restore the natural contour of your eyes. At what age do most people have blepharoplasty? Like all plastic surgery procedures, the choice to have blepharoplasty is left up to each individual. Because eyelid sagging, fine wrinkles, and dark circles are a natural part of aging, many individuals choose to have eyelid surgery after the age of 35. Our eyelid surgeons work with each of our patients on an individual basis. Listening closely to your concerns, we can help you determine if blepharoplasty is right for you. The incisions for blepharoplasty are placed in the natural creases in your eyelids reducing any visible scarring. All surgical procedures will produce some scarring, but the scars from blepharoplasty generally fade within a few months. The Star Plastic Surgery Advantage of board certified, experienced plastic surgeons using only proven surgical techniques further reduces instances of visible scarring. Will blepharoplasty remove crow’s feet and other deep wrinkles from around my eyes? Blepharoplasty removes fine lines and wrinkles from around your eyes but is not designed to remove deeper wrinkles and crow’s feet. If you are interested in restoring a youthful appearance to your entire face, eyelid surgery can be combined with other surgical procedures such as a facelift. Blepharoplasty can also be combined with nonsurgical procedures such as BOTOX® Cosmetic to eliminate the appearance of crow’s feet and other wrinkles throughout your face. Once fat is removed from the area around your eyes it will not grow back. Blepharoplasty is a long-lasting procedure and most people find it continues to produce remarkable results for several years. Blepharoplasty cannot reverse the aging process and certain lifestyle choices can shorten the length of time your procedure lasts. Making sure to get adequate sleep, refraining from smoking, and avoiding excessive sun exposure will help your results last much longer. If you have additional questions about blepharoplasty, contact the experienced surgeons at Star Plastic Surgery today to schedule your consultation.